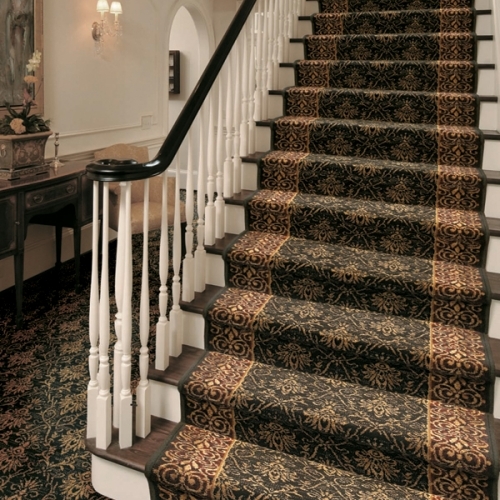 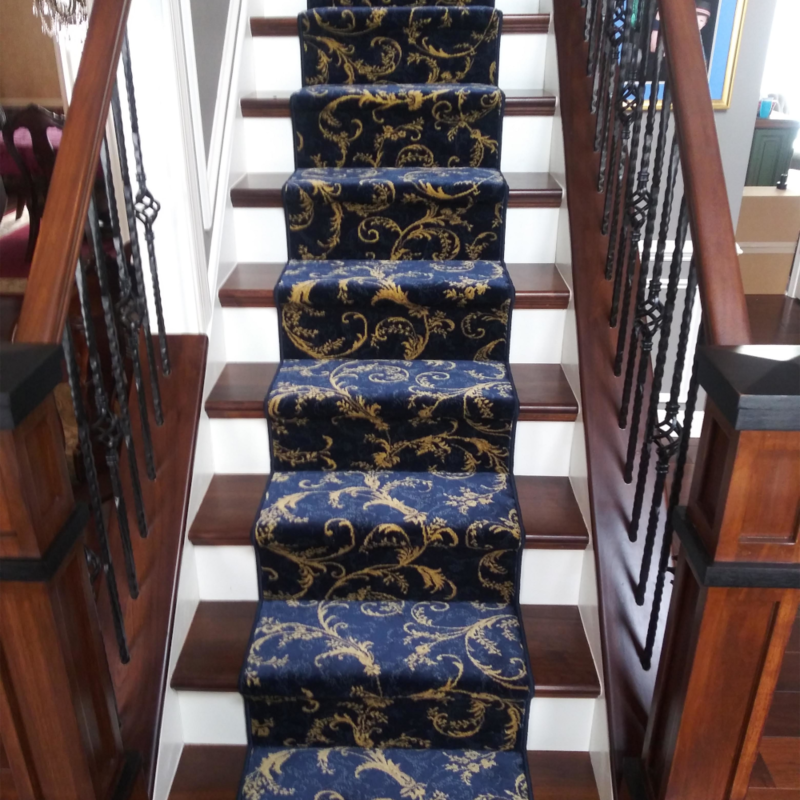 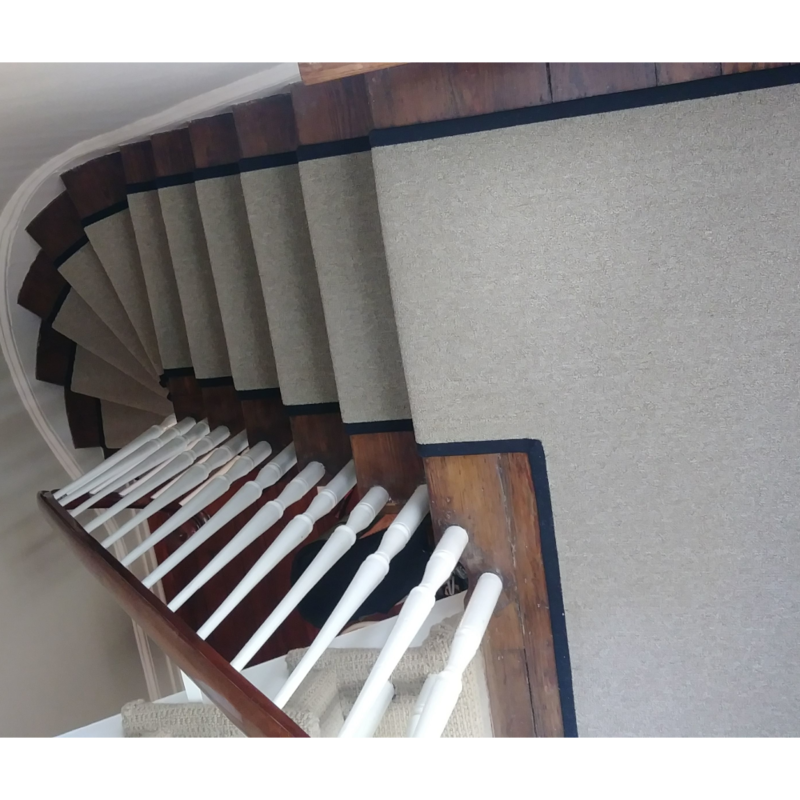 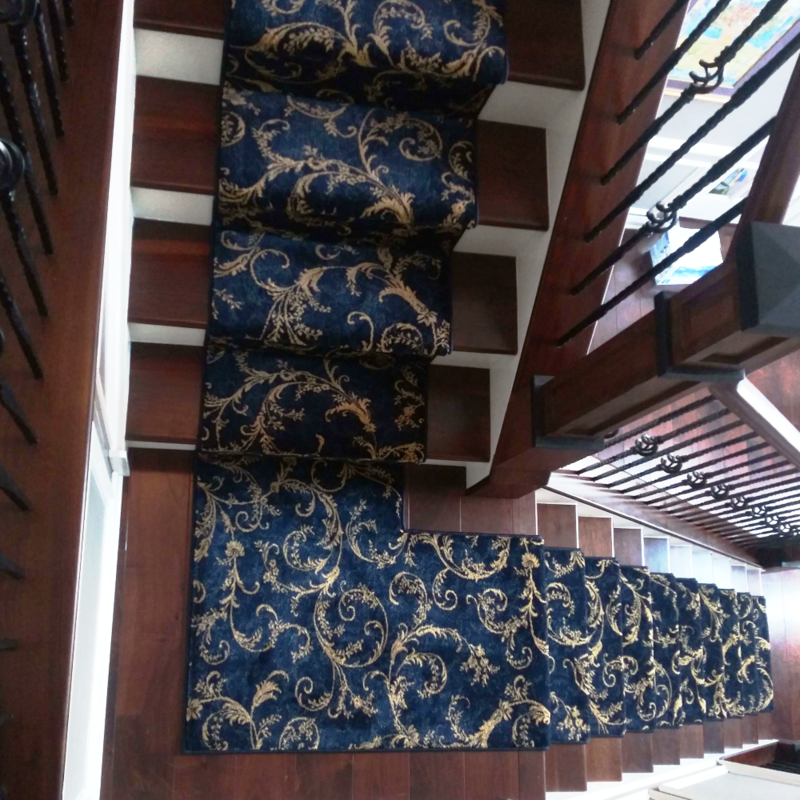 Any of the carpets we carry can be made into Stair Runners. 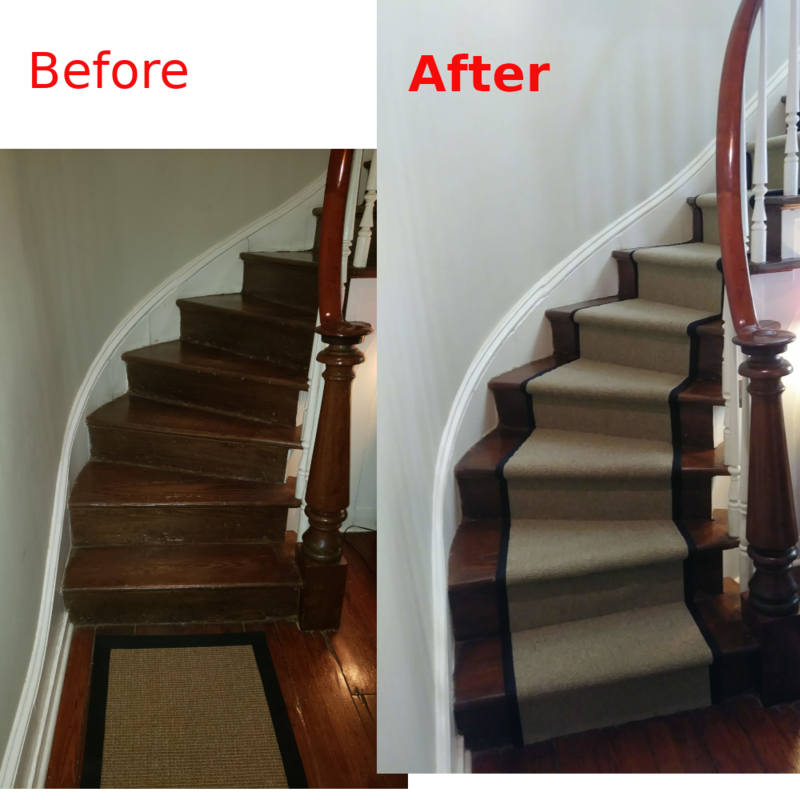 We can make a step runner any width or length you like. 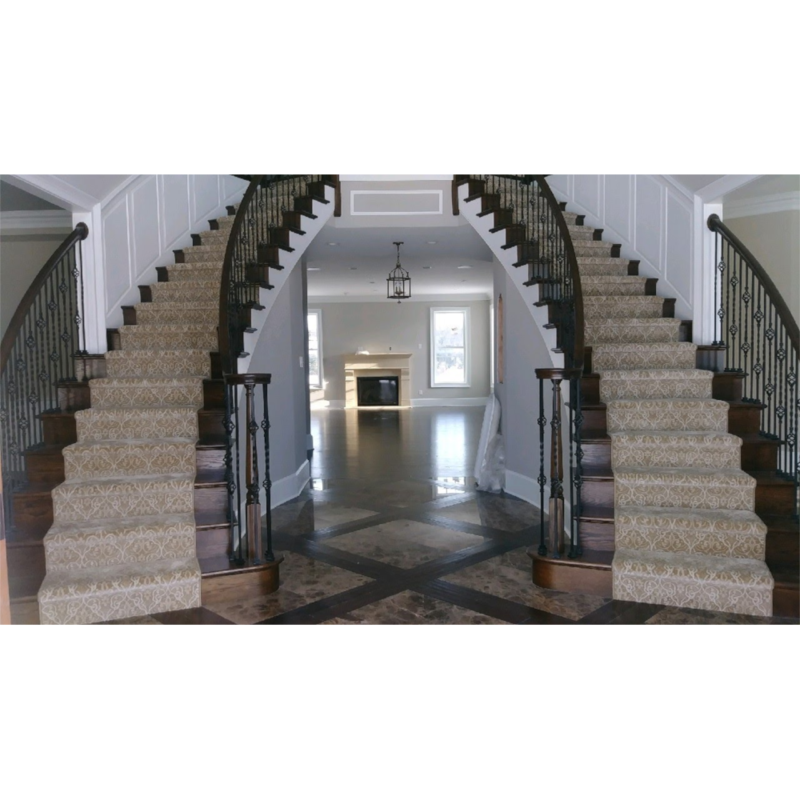 Even if you have circular stairs or pie steps we can create a unique statement for your home. 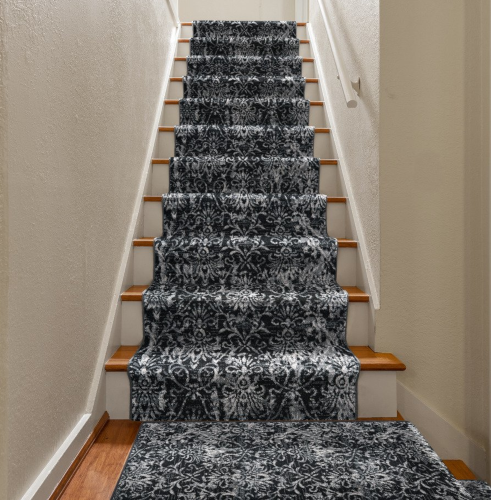 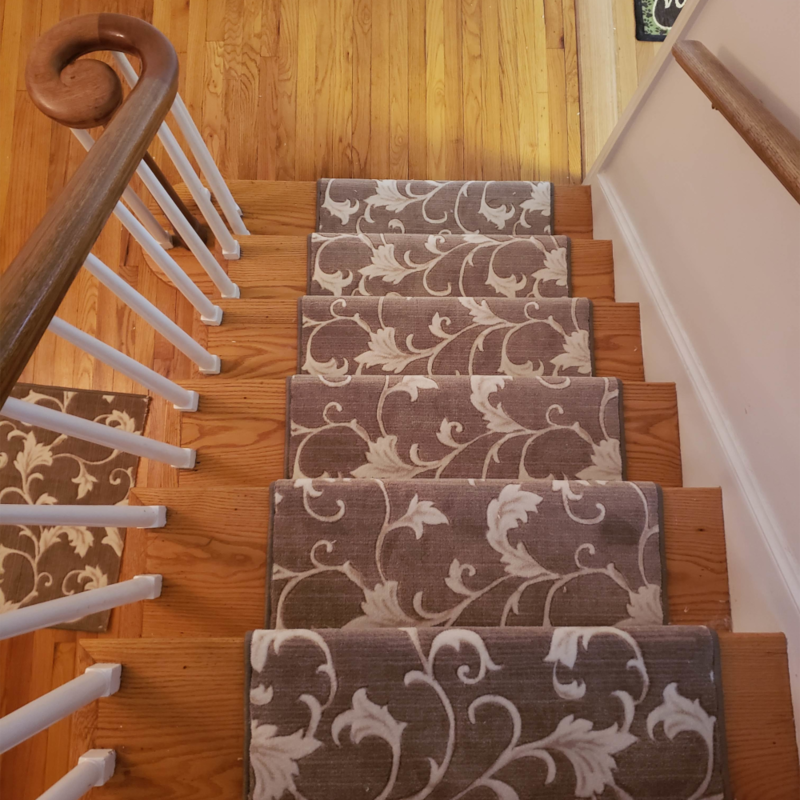 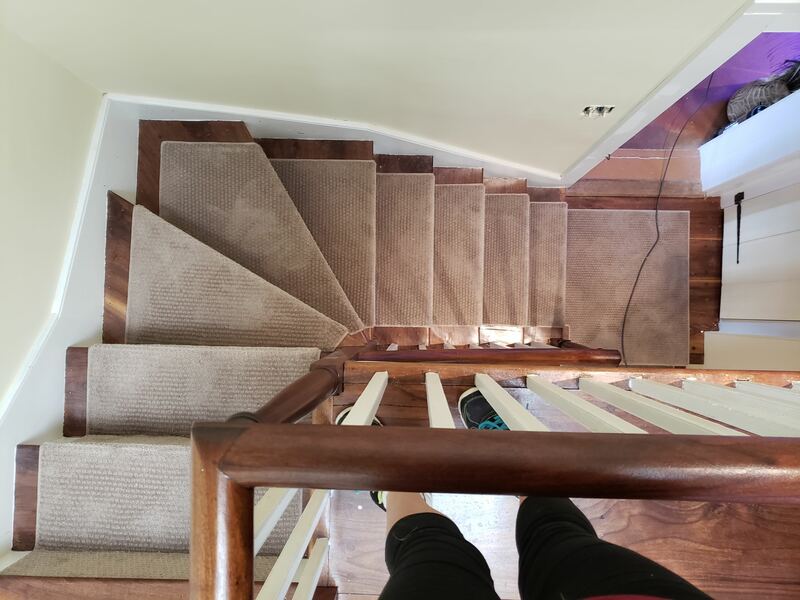 Your stair runner can turn corners to look like one long piece of ribbon going up stairs and through hallways, or it can start and stop at landings. 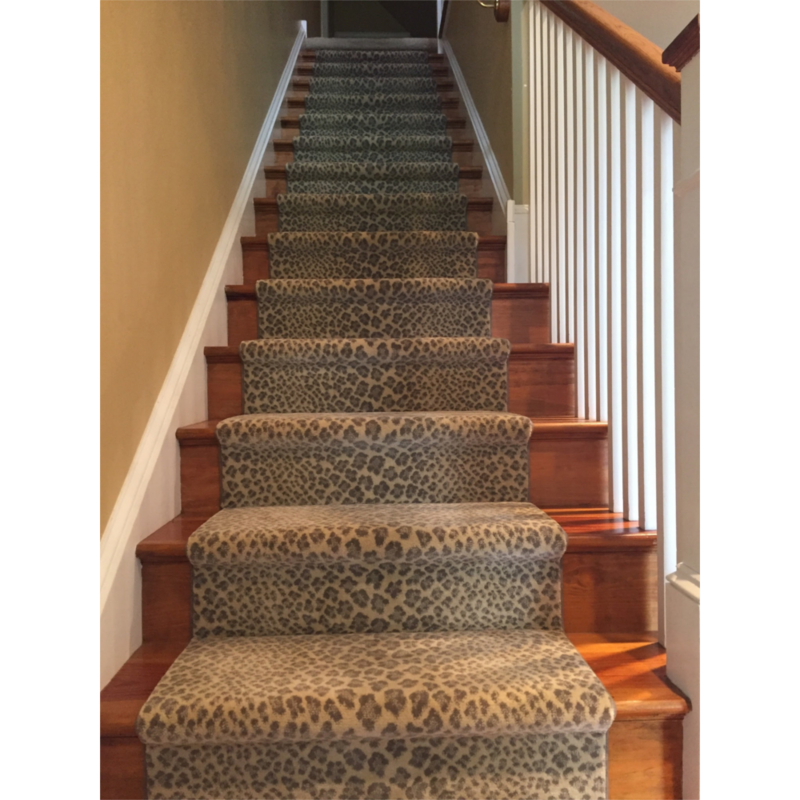 We have exotic animal print carpet and woven rugs as well. 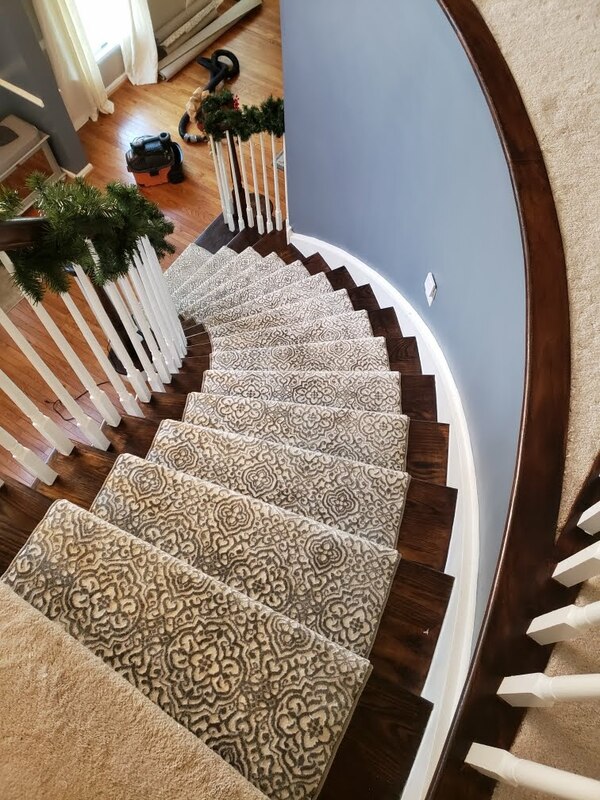 We can come to your home with samples of whatever you have in mind, or you can stop into one of our 4 showrooms to select a few differernt options. 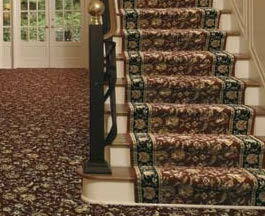 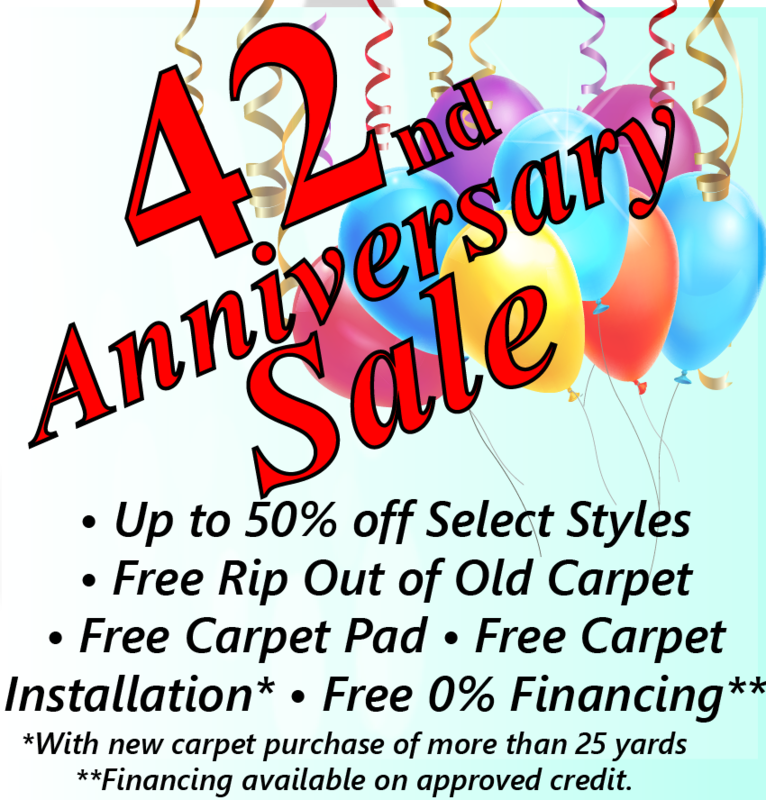 We carry a wide variety of brands, including Stanton Carpet, a premier manufacturer of woven goods. 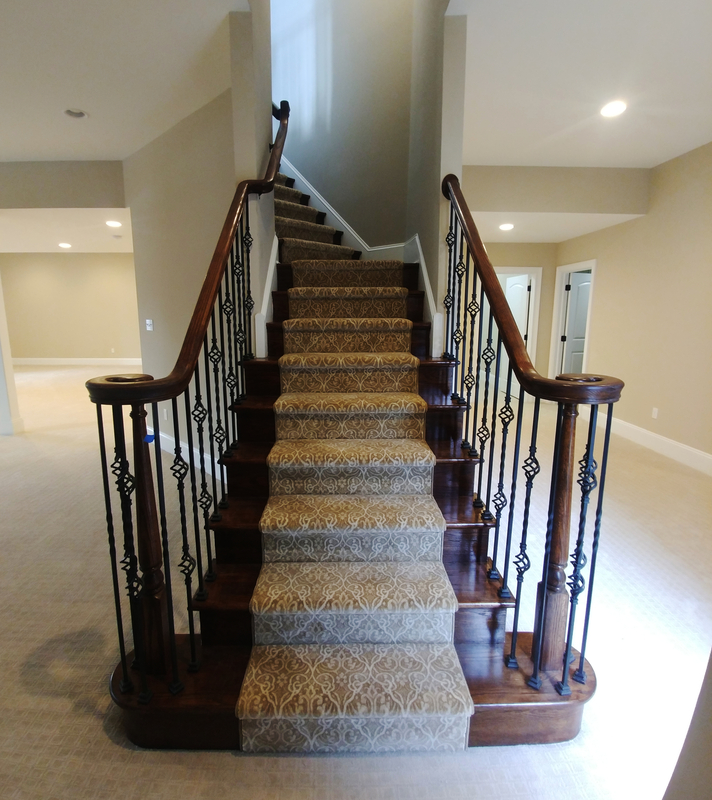 Many of the woven carpets are available in premade runners with borders and also matching broadloom carpet for areas that require wall to wall installation. 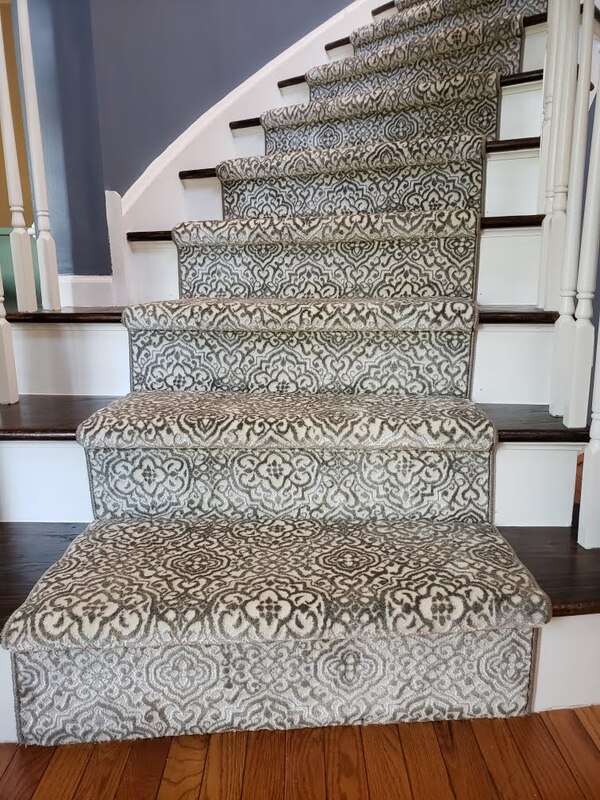 Most of the pictures shown here are of runners we have done in the past, and some are pictures of available products, customizable for your home.